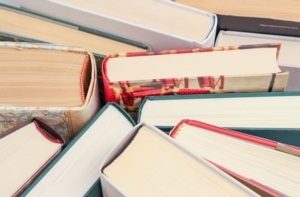 Looking for a way to support your local library? Get involved with the Friends of the Chestnut Hill Branch! Visit their website for more information on volunteer opportunities and learn about the exciting new Speaker Series planned for the Spring Months. The Friends Spring Semester Series featuring topics such as baseball statistics, fake news, medical marijuana, the Lenape, and memory & music. See https://chlibraryfriends.org/ for more information. Monday, 4/22 1:00 p.m. – 9:00 p.m.
Wednesday, 4/24 1:00 p.m. – 9:00 p.m.
Monday 1:00 p.m. – 9:00 p.m.
Mon, Apr 22, 7:00 P.M. The first inhabitants of the Chestnut Hill area were the Delaware Indians. One of their leaders, Chief Tedyuscung, is immortalized in a statue in nearby Fairmount Park overlooking Wissahickon Creek. The Indians sold this section of their territory to William Penn on July 14, 1683. The area's first white settlers were religious dissenters from Holland who were attracted to Penns Woods by the tolerance of its gentle leader. The name Chestnut Hill first appeared in a deed of 1711. Although there were no more Chestnut trees on the hill than anywhere else, the now almost extinct trees gave the town its name. To serve the schools and the community, philanthropist Henry Williams built the Christian Hall Library in 1872 at 8711 Germantown Avenue. Williams named the library Christian Hall because he did not wish anything to go on in the two-story building and subsequent annex that would be inconsistent with the word "Christian." Singing, elocution classes, magic lantern shows, art lectures, church fairs and temperance meetings were permitted. At first the library was only a reading room, and books were issued only to subscribers. But after 1876, Mr. Williams was persuaded to allow anyone to take books without charge. 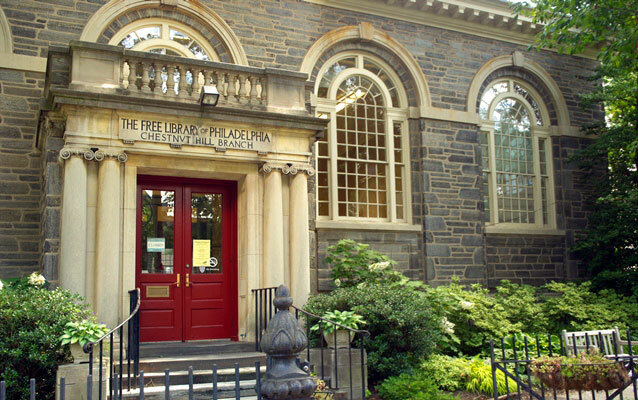 In 1897, the trustees of the Christian Hall Library decided that the library would be of greater benefit to the community as a branch of the Free Library of Philadelphia, and so they granted the grounds to the city. A new library building was built in 1907, funded by Andrew Carnegie and on the same site as the Christian Hall Library. In 1991, a modern meeting room addition was added. The library was renovated in 1999 as part of the "Changing Lives" campaign, which brought Internet service to every branch. Active support is provided by the Friends of the Chestnut Hill Library, founded in the 1970s.